The Best Indie Music blogs from the biggest music blogs in our index using search and social metrics. Data will be refreshed once a week. Also check out Top Indie Music Youtube Channels list for Top videos on Indie Music. Indie Music newsletter is a comprehensive summary of the day's most important blog posts and news articles from the best Indie Music websites on the web, and delivered to your email inbox each morning. To subscribe, simply provide us with your email address. About Blog Jamsphere Indie Music Magazine & Radio Network is a truly independent magazine & radio network aimed at promoting and marketing indie artists, within a prestigious and authoritative container. News, interviews and reviews on our magazine pages and airplay on our dedicated radio station, allow our featured artists to kick-start their musical careers, certify web presences and increase credibility. Facebook fans 51,351. Twitter followers 313,288. About Blog We are celebrators of creativity. Atwood Magazine is a new music journal dedicated to providing authentic writing and insightful journalism to music discovery. Our aim is to showcase not only incredible creation, but also the stories behind them. With a passionate team of 30 writers hailing from all over the world, Atwood Magazine is committed to showcasing the best emerging and established talent. Facebook fans 7,672. Twitter followers 18,106. New York, USA About Blog Obscure Sound exposes independent musicians through in-depth features and free MP3s. It is an indie music site that I formed out of a love for finding new and emerging quality music. Facebook fans 8,991. Twitter followers 5,883. United States About Blog IndieAir is a channel that will feature mainly indie and alternative genres of music. Facebook fans 9,293. Twitter followers n/a. Essex About Blog It's All Indie is an international website bringing you the latest news, reviews, interviews, videos and downloads. Facebook fans 48,823. Twitter followers 5,379. Dallas, TX About Blog MORindie provides indie and alternative music. Facebook fans 3,799. Twitter followers 550. San Francisco, CA About Blog Discussions about indie music. Facebook fans 1,204,846. Twitter followers 569,957. Chicago, IL About Blog A Chicago-based indie music blog featuring exclusive live sessions from our favorite artists. HearYa is an indie music blog that gives indie music enthusiasts a destination to cut through the clutter when discovering new music. Facebook fans 2,580. Twitter followers 3,496. Facebook fans 270. Twitter followers 740. About Blog Find all the latest news, reviews, interviews and videos on music on this site. Facebook fans 4,451. Twitter followers 83,523. Facebook fans 615. Twitter followers 4,240. About Blog Indie Rock Cafe, founded in 2007, is one of the leading and longest-running indie rock music blogs on the web highlighting talented, promising and under-the-radar DIY artists and bands from across the United States and around the world. They are honored to be one of the most popular indie blogs that feature both well-known and rarely heard indie and alternative music. Facebook fans 16,677. Twitter followers 19,259. About Blog Indie Minded is your source for the latest in news, entertainment, music and fashion. We provide you with the latest breaking news and videos straight from the indie community. We are your all-access pass to all the indie stars around the globe. Facebook fans 2,396. Twitter followers 14,253. San Francisco Bay Area About Blog This blog is generally directed to indie music and more particularly to a concert obsessed audience. They are a proud contributor to Hype Machine. Facebook fans 14,224. Twitter followers 5,362. AUSTIN, TX About Blog UGSMAG is an independent hip hop magazine. Focusing on indie / underground rap from all around the world. Facebook fans 1,988. Twitter followers 3,236. Venezuela About Blog We are the independent portal of Latin America. News, interviews, shows, events, rock in Spanish, indie music and online radio. Facebook fans 10,387. Twitter followers 7,959. Missoula, Montana About Blog Bob Leggett has been involved in the music business for the past 20 years, including promoting and discovering bands, and hosting concerts at venues in Los Angeles. He has also covered the indie music scene as a reporter and music critic. Indie Voice Blog supports the indie arts through reviews, previews, features and awards, and is the sponsor of the LA Music Critic Awards for indie music. Facebook fans 842. Twitter followers 1,768. Dublin About Blog mp3hugger is an indie music blog based off the Irish coast towards Iceland. It started in September 2005 to introduce new music to people who may not otherwise get to hear it. Facebook fans 424. Twitter followers 1,828. United Kingdom About Blog Welcome to IndieCentralMusic. IndieCentralMusic is the home for the latest indie and alternative music. Follow this blog to find the latest indie and alternative music news, reviews and discoveries, along with radio, TV & gigs! Facebook fans 1,973. Twitter followers 1,834. About Blog The IndieNation Community has formed into a major platform showcasing the best unsigned talent in the world. In less than a year IndieNation has featured over 15k artists who have created over 750k Blog Views. IndieNation is a community of dreamers and independent thinkers. Facebook fans 4,744. Twitter followers 7,518. About Blog A blog about little indie stuff, emerging music in the indie genre. Facebook fans 2,069. Twitter followers 9,891. UK About Blog Neon Filler was created in 2009 by Joe Lepper and Dorian Rogers. Since then it has grown to include articles by our wonderful bunch of contributors, regular Top 10 features and in 2011 we published our Top 100 Indie and Alternative Albums list. Indie Music UK is the home of indie and alt music website. Facebook fans 716. Twitter followers 2,110. Barcelona, Spain About Blog A blog about indie music, movie reviews, literature and other comments. Facebook fans n/a. Twitter followers 1,194. About Blog Rock The Pigeon started as an anonymously written indie music blog based in East Bay Area and have expanded writers throughout the US and we cover all types of music. About Blog Indie Music Magazine strives to be a hub for knowledge for the indie music community. Fans and artists alike will find articles of interest. For the music lover IMM will provide album and concert reviews as well as a listing of newly discovered and interesting artists. For the artist we hope to provide articles on music production, promotion, etc. Facebook fans 773. Twitter followers 2,285. About Blog Indie Music Plus (IMP) was founded in August, 2015, with the mission to become the "Home of the Indie Musician". Indie Music Plus creates unique solutions to promote the Indie artist and their music to a global audience. Facebook fans 3,063. Twitter followers 29,661. Netherlands About Blog Indie Folk Central provides a continuous stream of indie folk music to people around the world. When you want to hear some good indie folk, you can count on Indie Folk Central. Facebook fans 5,300. Twitter followers n/a. Los Angeles, CA About Blog Indie Nation, the most diverse and tasteful Indie Channel on YouTube; Where you'll hear every type of Indie music from electronic to alternative. Facebook fans 3,077. Twitter followers 2,357. About Blog DJ Buddy Holly blogs are about DJing, modern music performance, and music instruction. DJ Buddy Holly is The King of Indie Music. Facebook fans 58,014. Twitter followers 26,040. England, United Kingdom About Blog A Blog about music and Festivals New music reviews, albums and gigs, Weekend debt lyrics. Joining together Music Fans with the best in New Indie, Alternative and Punk Music, as well as upcoming Music Events. Facebook fans 197. Twitter followers 333. About Blog Blog, playlists, e-magazine & Indie DIY PR Tools. - A starting point for Indie music online PR. For fans, musicians, promoters & labels. Facebook fans 187. Twitter followers 22. Ohio, USA About Blog The Indie Sound is a collective of dedicated music writers that aim to shine the spotlight on artists big and small, both locally and worldwide. Facebook fans 566. Twitter followers 587. About Blog Italy has a growing Indie music scene with some awesome bands with amazing talent. Indie Italy is a mix of Italian Culture Indie Music. Joe created Indie Italy to focus on the Independent Italian music scene throughout Italy and Europe; one place to follow the latest artists, music videos and albums. Facebook fans 685. Twitter followers 2,118. About Blog So, this is my new old indie music blog. I decided to make a new one but I took the posts from my old blog and posted them on here as well. You can find my old blog under xindiemusicx.blogspot.com . I try to post monthly, but please bear with me if I'm sometimes a little late. 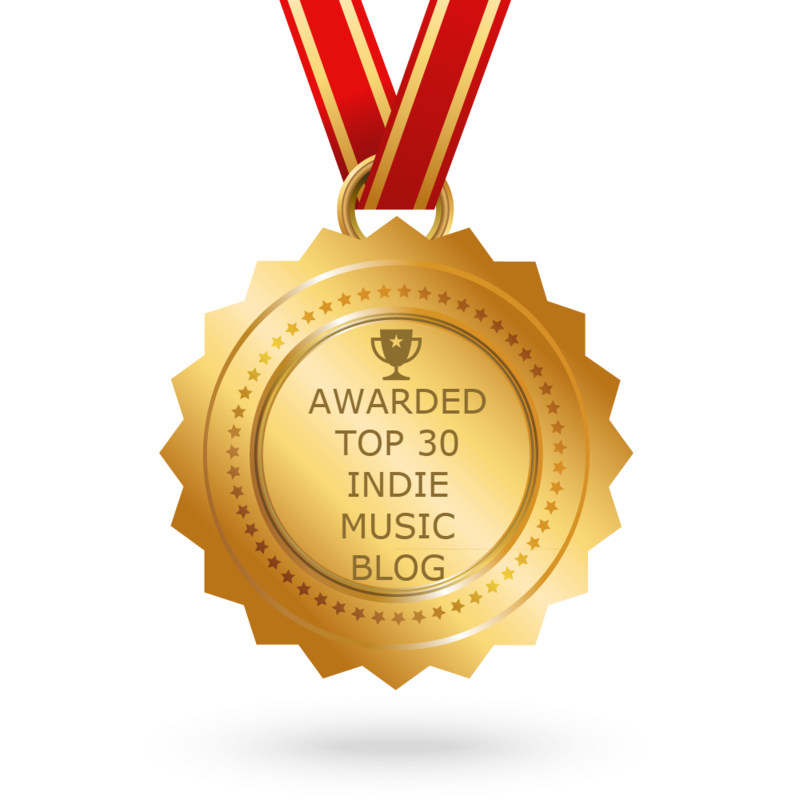 CONGRATULATIONS to every blogger that has made this Top Indie Music Blogs list! This is the most comprehensive list of best Indie Music blogs on the internet and I’m honoured to have you as part of this! I personally give you a high-five and want to thank you for your contribution to this world.